Our staff serves the spiritual needs of our residents and holds worship services in the historic All Saints Church. In addition, daily devotions and weekly Bible studies are held for all who wish to attend. 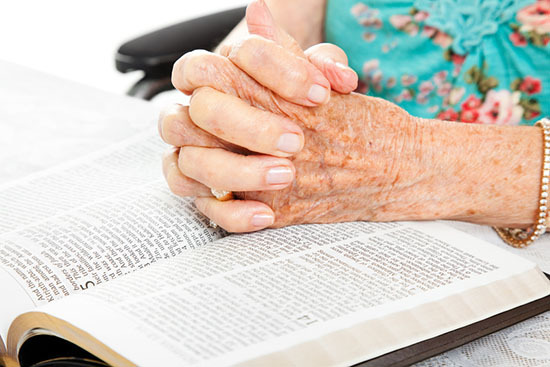 As a Christian-based care facility, Eben Ezer seeks to provide comprehensive care for our residents – care that addresses the “whole” person as a composite of physical, emotional and spiritual needs. Pastor Dan Hays and Chaplain Ro Fesser serve as our spiritual arm. They offer individualized support for our residents, their families, and our staff. They lead a variety of worship services and Bible studies; makes hospital visits; and offer devotionals for monthly staff meetings, our Resident Council and the Eben Ezer Auxiliary. Pastor Hays can also be found conducting Sunday worship services and both preside at funerals, memorials, and weddings in the historic All Saint’s Church, located on our grounds as well as other locations in our Morgan County community. Community Worship – 3rd Wednesday of the month at 10:00 a.m.
Held in the Sister Anna Poulsen Activity Center, this service of scripture, song, sermon and communion is led by area pastors who fill the pulpit on a rotating basis. All Saints Church was dedicated September 15, 1918. The building was designed by Eben Ezer founder, Rev. Jens Madsen, and built by mostly volunteer workers. Madsen wanted the sanctuary to reflect the presence of the sacred with a sense of intimacy. He sought to do this with beautiful stained glass, gothic arches, a pitched beam work ceiling, oak pews, and limited seating. The name “All Saints” was chosen to reflect the church as a place of worship for all believers. It was to be an open door of spiritual nourishment to all the residents of Eben Ezer. All Saints Church, as “house of prayer” was to symbolize the central place of the Gospel in the work and ministry of Eben Ezer. 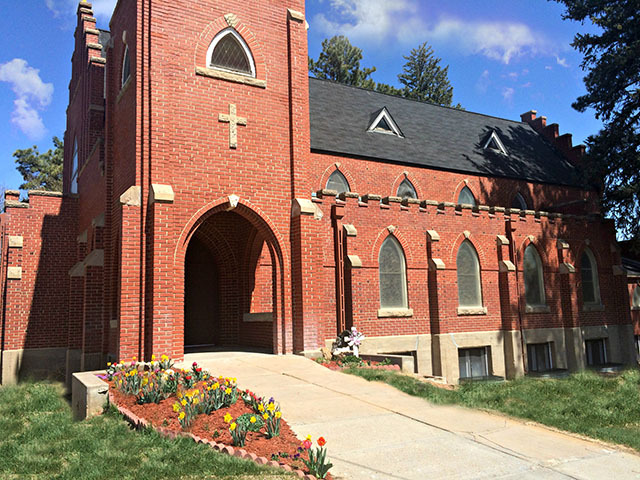 All Saints Church provides the residents of Eben Ezer with an opportunity to enrich and deepen their spirituality. Pastor Dan Hays is the pastor of the church and Ro Fesser, Diaconal Minister serves as the chaplain for Eben Ezer.